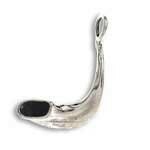 Size including the bail: 0.78" x 1/2" | Gift boxed with 18" FREE Sterling Silver chain. Marcasites, Marcasites and more Marcasites! 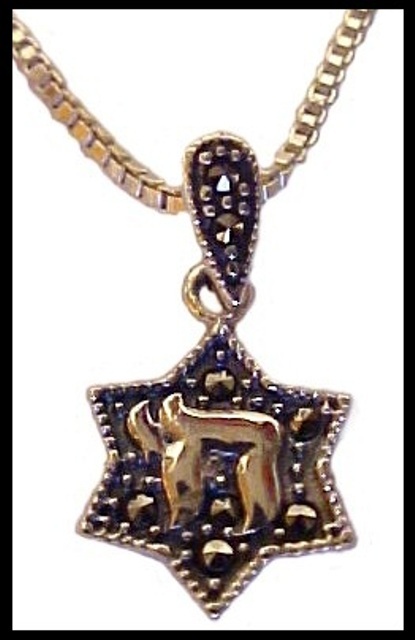 Beautiful and gentle Star of David with CHAY (Celebrate "Life" - In Hebrew) filled with Marcasites, Hangs on an ornate bail. Rich design combine with spiritual messages. Crafted in solid Sterling Silver. Brilliant blazing marcasites with full luster. Enjoy the beauty of the traditional with a personal expression. The kind of Jewelry you buy for yourself or somebody you really like! Wear it any time, any where with everything! The Star of David (Shield of David) is connected to a shield possessed by King David that protected him from his enemies. The shield was inscribed with the seventy-two letter names of G-d, or with Shaddai (Almighty).